How do I clean my rubber stamps? Use our SC-10 solvent available here, to clean off fast dry inks on Woodmount stamps. Apply a small amount of solvent to a rag and gently wipe the stamp die. Do not soak wood-mounted rubber stamps in water as it will loosen the adhesive. What is the Switch Stamp? Our Switch Stamp is easy to use and environmentally friendly! With hundreds of interchangeable designs to choose from, simply click the stamp plate into place then pop out and switch out for another design. 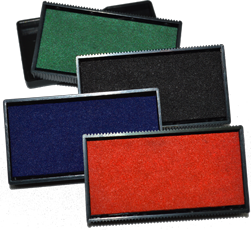 Ink pads are interchangeable as well with 14 ink colours to choose from! Check out our designs here! How do I re-fill my self-inking stamp? Which stamps come with ink pads? 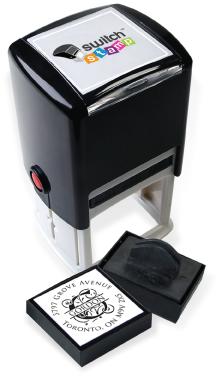 Our self-inking stamps, daters, and Switch Stamps all come with a built-in ink pad that is interchangeable and re-inkable. 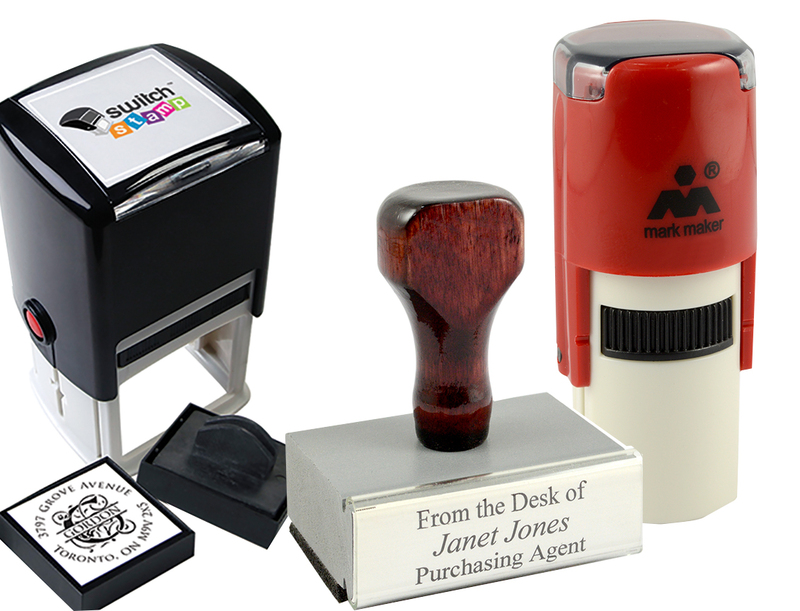 Our prostamps and xstampers also have built in ink. However, their pads are not interchangeable, but they are re-inkable to last after thousands of impressions. Ink pads are sold separately for our rubber stamps which can be purchased here. What ink colours is my stamp available in? Depending on which stamp you have purchased, we sell a variety of ink pads and inks in many colours ranging from red, blue, green, black, white and purple!